As posted on Facebook, Viaduct Foundation’s major gift in 2018 was a contribution to the Chatham Rotary Club’s initiative, the “Barillas RACHEL Digital Library Project”. So what is RACHEL? 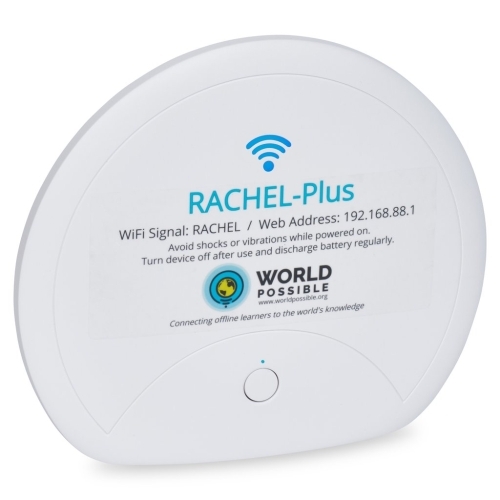 RACHEL, the Remote Area Community Hotspot for Education and Learning, is a combination of freely available software and content modules that makes it easy to bring online educational materials into places with limited or no internet access. The content is available in multiple languages and can be customized to suit local needs. RACHEL systems deliver an entire digital library to up to 50 users at a time, and all that is needed to access the content is a computer, tablet, or smartphone with wifi. The tiny RACHEL server uses minimal power; in fact a Montreal-based foundation, 60 Million Girls, has developed a Mobile Learning Lab consisting of a RACHEL and 30 tablets that is completely solar powered using 3 solar panels and batteries. RACHEL is an amazing tool particularly for kids in rural, isolated areas. Our evaluation projects show important increases in learning outcomes for children and continued enthusiasm in attending – even after several months. 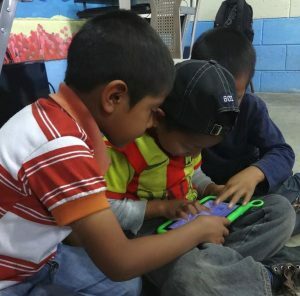 The Chatham Rotary Club has partnered with 6 other clubs and with Mundo Posible to place RACHEL servers and Chromebooks in 55 schools in Barillas, Guatemala over the next 3 years. Viaduct Foundation has funded 100 tablets to go to the schools in the first year of the project so more kids can get connected to RACHEL! The Barillas municipality in Guatemala’s northwest highlands has hundreds of small, indigenous villages that are among the poorest, least literate, and least healthy in the Americas. The state barely provides them with tools to study – just notebooks, pencils, pencil sharpeners and erasers – and even then, these materials arrive late in the school year, i.e in March or April. (The school year in Guatemala is from January to October.) The schools do not have text books, reading books, computer equipment nor other teaching aids. Needless to say, these villages do not have access to the Internet nor do they have the necessary funds to establish any kind of electronic connection with web servers. While access to electric power is a notable recent advancement, these communities do not have resources to improve the education of their children. If you’d like further information or feel inspired to donate, please contact us.